BWCF had a fun visitor last month – 3-year-old Nevaeh, who spent her time in the BWCF offices jumping around excitedly and showing off her artistic skills. Walter, a victim of a DUI car crash, knows the importance of safety and reached out to BWCF when his daughter wanted a bike helmet for her third birthday. He called the right place! 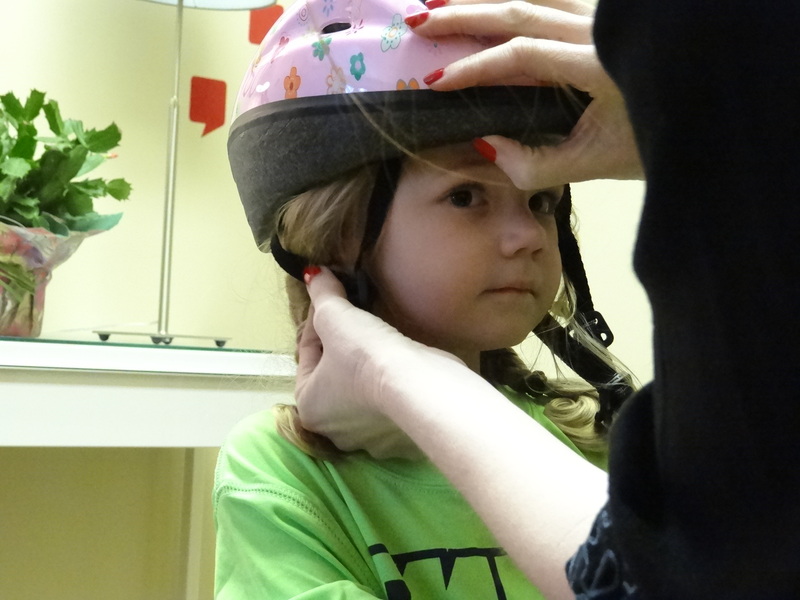 Her wish was granted the next day as they stopped by the office for a helmet fitting by Executive Director Amanda Day. The birthday girl couldn’t stop smiling as she checked out her reflection and new pink accessory and we can’t stop smiling either knowing she’s safer. Happy Birthday, Nevaeh, and safe riding!